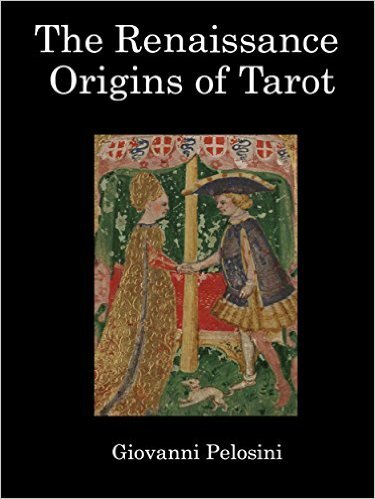 The mystery of the origins of Tarot is linked to its creators during the Italian Renaissance, who designed the cards for the artistic and cultural legacy of humanity, while also feeling inspired by the liberation of humankind’s spiritual nature. The Renaissance was an extraordinary moment of cultural syncretism and artistic freedom of thought. In the fifteenth century, alchemy, astrology and the ancient traditions of Hermeticism had an opportunity to come together in a unique iconographic, mnemonic system of educational experiences which became the Tarot deck, complete with twenty-two original Triumphs (Trump cards). After creating this deck, humanists, scientists and writers, driven by their passion for knowledge, gathered in academic settings, protected by the Lords of Florence, Ferrara, Bologna, Rimini, Milan, Mantua and other cities, while continuing a centuries-old tradition of spiritual initiation. This Renaissance offering to humanity was created not only for recreational purposes, or divination, but in order to reveal secrets of the Neo-Platonic philosophy founded on the apparent multiplicity and uniqueness of an ordered, holistic cosmos, enriched by free spirited creativity, which through the images of Tarot, could then soar above the illusory dualism that exists between mind and matter and move towards self-realization.